Uploaded at: 2015. 07. 04. Foresee sought MoHR's support to test a modelprogram in the Rákospalota Correctional Institute and Special Children Care Home in relation to mediation as a preliminary method to correctional penalties being intoduced in the new Penal Execution Codex. The Institute is special in the sense that it houses juveniles both in pre-trial detention and in correctional education. As a result, both the everyday relations and the institutional co-existence lead to different conflicts and different solutions in communication. 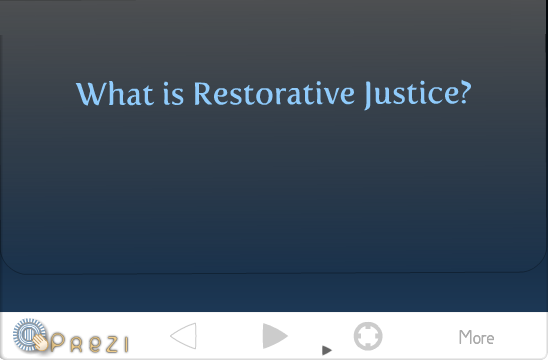 Part of the institute staff has some degree of experience in mediation and restorative techniques, and they have tested these techniques in some form. The Institute has 2-2 groups of detentionees and youngsters in correctional education, and 3 special childrencare home groups, consisting on average of 8 people per group. The teachers, psychologists, and supervisors working with these children were the participants of the of the half-year-long training programme. The first step of the programme was about surveying the needs of the participants. A plan was set up taking into account everyone's possible involvment in the programme, the experience of the participants, aiming for the most effective execution of the programme. Focus groups were set up in this phase, and sensitizing trainings have been organized. During the programme, Foresee's experts held a 3-day intensive course for 18 volunteers from the institutional workers. Apart from the theoretical trainings, the participants had the chance to experience the effectiveness and practical implementation of these techniques first hand through simulated case studies (roleplay, groupwork, etc.). The participants expressed at the feedback circle held at the end of the training that they would like to utilize this approach and these techniques in their family relations as well as their everyday work. Following the training, the concrete framework of the possible implementation of the technique in the correctional institute has been created, detailing the cases and the methods of implementing them in the process of the correctonal cases. Implementing the restorative techniques led to conflict resolutions in non-correctional cases as well, and improved communication altogether. An important goal was to help the Institute prepare for its responsibility assigned in the new Penal Execution Codex, and to enable the institute workers to make use of the techniques in the future as well. Throughout the training several workers expressed that they would like to further train themselves as mediators, and institute leaders and teachers asked for mediator help with actual conflict cases on multiple occasions. The project provided a chance for the institute workers and the juveniles to familiarize themselves with the restorative techniques. The findings of the project provide opportunities not only for those in the institute, but for other child protection and penal institutes, not only in Hungary, but internationally as well.